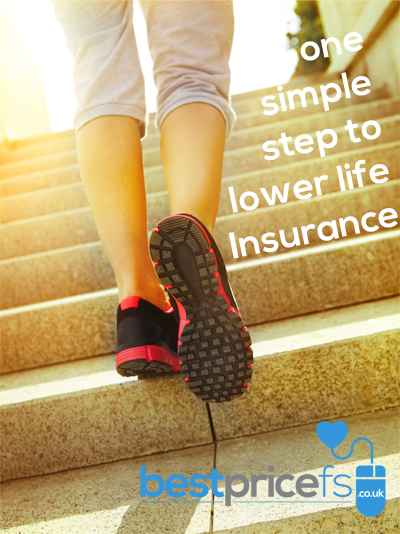 Buying life insurance can be expensive, so if there’s an easy way to cut costs it makes sense to take advantage of it. After all, we’re only human. In truth, one of the easiest ways to shrink the size of your premiums is to source insurance through a commission-free broker. Commission is the money-maker for brokers, the main culprit that drives up the cost of what should be an inexpensive product. The inflated price of the policy often forces people to sacrifice quality in order to afford the premiums, meaning that you don’t get the deal you deserve. Going with a commission free broker, however, means that your hard-earned cash will be getting you the best quality product possible. As the example shows, you can save a considerable amount from buying through a commission free broker. Although Henry’s £2.88 a month saving doesn’t seem like that much, the worth of savings made over the full term (£677) is indisputable. What’s that saying again – ‘look after the pennies and the pounds will look after themselves’? It couldn’t be more evident here. The general public have been particularly slow on the uptake regarding this money-saving tip. A recent YouGov survey reported a significant misconception of commission rates by consumers, perhaps explaining why so few factor it in when buying. On average 24% of the product’s price goes straight to the broker, but it doesn’t always have to be this way, not if you choose to go commission-free. When you choose to buy through a commission-free broker, you’re asked to pay a small initial fee. And while this may seem like their cunning way to sneak away with some commission, it simply provides a means of processing the policy. It’s true – you’re likely to pay out more initially than if you opted for a commission-based policy, but compared to guaranteed savings in the long term, it’s worth the initial spend. Just make sure you’re not being taken for a ride, the cost of processing is relatively minimal, and in reality this should be no more than £20. Anything above this and you may want to consider looking elsewhere – for the same policy from the same provider, it pays to shop around for the best price broker. With your new policy in place and the savings stacking up, you’ll be happy you did. And this is a disposable income you wouldn’t have otherwise had, so a great use for this extra cash could be on something for all the family. This way, you can still enjoy the best, even if you’re planning for the worst. If you’re after cheaper life insurance quotes with a commission free broker, choose Best Price FS.